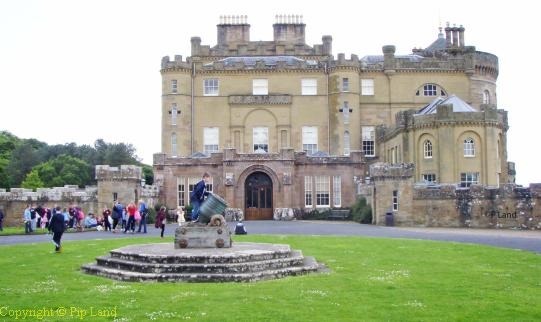 On the last two days of our journey we visited to very different but equally fascinating places – The Hill House at Helensburgh and Culzean Castle south of Ayr, where we heard the Celtic Twist. 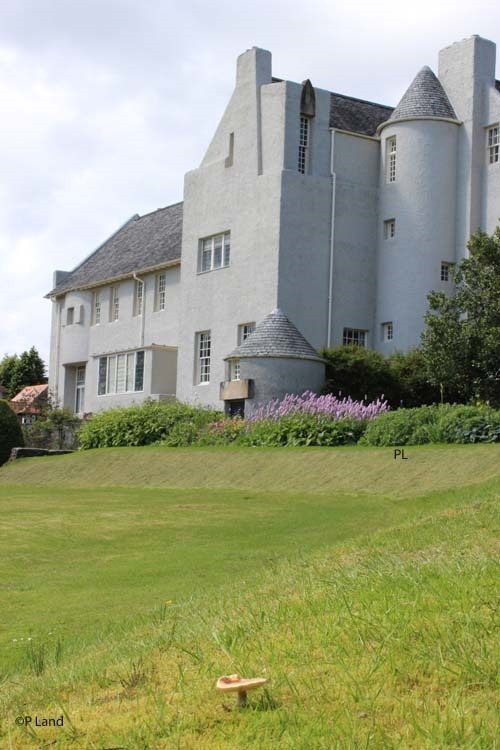 All those dark foreboding clouds had disappeared by the time we got to The Hill House which was built by Charles Rennie Mackintosh in 1902-3 for the publisher Walter Blackie. But just as we arrived two coaches offloaded all their passengers. The National Trust for Scotland has warning notices in the bedrooms stating the maximum number of people that should be in them to safeguard the fabric of the house, but those were often ignored. Our attempts to try and avoid the crush were not always successful. Even so we found this “Art Nouveau” house fascinating. Mackintosh had even installed the most up-to-date shower fittings at the time. To us the shower unit looked more like an iron maiden with its encircling metal work from which the water spurting out would have reached those parts not usually directly reached. It must have been extraordinarily exciting for Mackintosh and his wife, Margaret, to collaborate on such an innovative project. And to work with someone like Blackie who allowed them to fully express their creative and forward-looking ideas. So Margaret’s artistic talent was enmeshed with Mackintosh’s vision for a house in which life and art would be integrated, and where the heritage of Scottish architecture would be evoked in a modern, thought-provoking structure. Throughout the house, internally and externally, art was used to create a harmonious whole. Below: Even the detail above one of the turret-style windows reflects the interior design. Blackie so loved living in this work of art that it remained his home until he died in 1953. 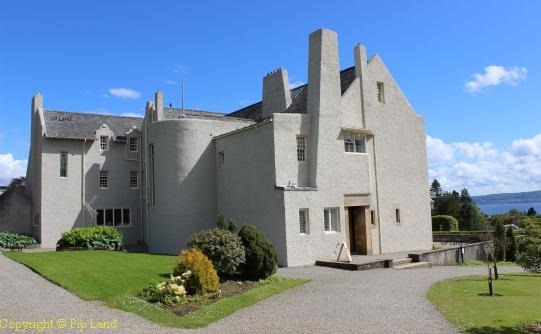 The next owner, T Campbell Lawson was careful not to undertake any irreversible alterations and so it has become an important landmark in the development of modern architecture cared for now by the National Trust of Scotland. 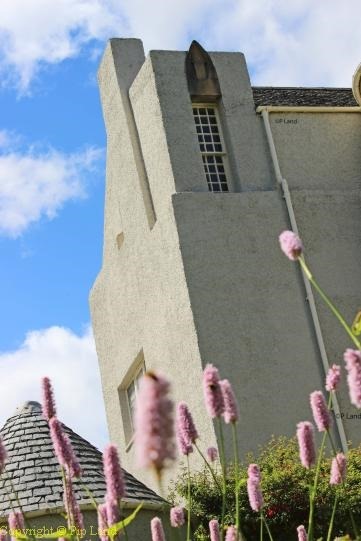 We ended our tour by relaxing in the beautifully restored gardens and savouring the exterior design of the house with its symbolic representation of the turrets of Scottish castles alongside modern functionality. It was then time to switch on the sat nav and take the quickest route to the Premier Inn (Racecourse) at Ayr. The big decision then was – did we take the easy option of dining in the Inn’s integrated restaurant or go somewhere else. It became a lot easier to decide when David spotted that there was a Pizza Hut close by. After supper the sunset over the Firth of Clyde (below) diverted our attention from yet another of those awful blobby pictures. One reason I chose that particular Premier Inn was that it had an on-site restaurant. The only other Premier Inn we had been to with that was at Springfield, Chelmsford where the service had been exceptional. That was due to having sufficient good staff. Sadly the restaurant at Ayr did not have enough staff at all. Nor did it have enough bread for breakfast one morning. The Inn itself was most definitely up to the standard of Premier Inns and, as it was quite new, it had a different design of bathroom which meant someone could use the toilet in private while another was taking a shower. We planned our journey to Culzean Castle so that it took us via the Electric Brae (Croy Brae) between Drumshrang and Knoweside on the A719. For the driver especially there is the weird sensation of seemingly looking down a hill while the car needs a bit of acceleration to go uphill instead. This is because the slope of the road is an optical illusion. 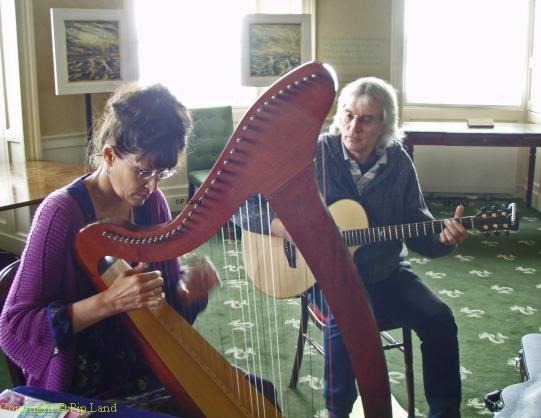 There was a great atmosphere in the Culzean castle that day thanks not only to the way that the National Trust for Scotland volunteers were helping so many children to enjoy the imposing cliff top stately home but also to the haunting music of Celtic Twist (below). We were so impressed that Phil Holland playing the harp and Dave Palmley on the guitar were willing to postpone their lunch break to give us a short recital. And what a treat that was. David promptly bought two of their CDs. We had by then visited most of the castle. After The Hill House we were especially intrigued to see how Robert Adam had, in the late 18th century, transformed what had been a boring fortress into a neoclassical mansion. By then Adam was famous for combining the Classical and the Romantic in his architectural and interior designs for his wealthy and aristocratic clients. Like Mackintosh to him the interior designs were as important as those for the exterior and both created some dramatic results. 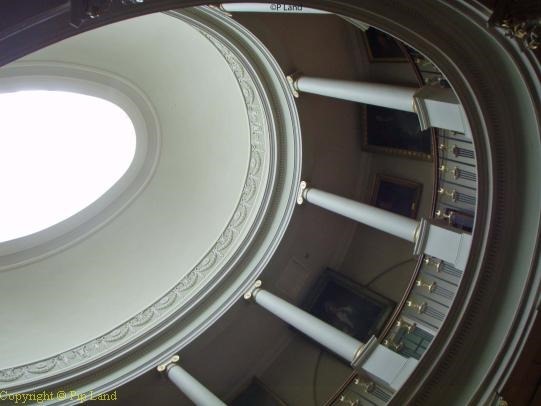 At Culzean Castle the most dramatic is probably the oval staircase with its slim Ionic columns above the Corinthian ones and the light streaming in from the cupola. 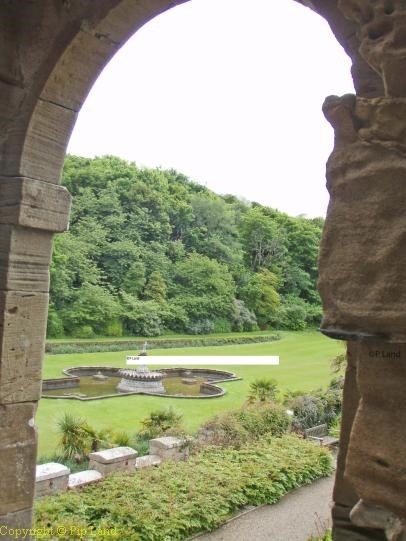 As the owner, the 10th Earl of Cassillis, wanted a good view of the sea Adam also designed a three-storey drum tower with a circular saloon right on the edge of the cliff. This added to the overall effect of a grand medieval Scottish castle. 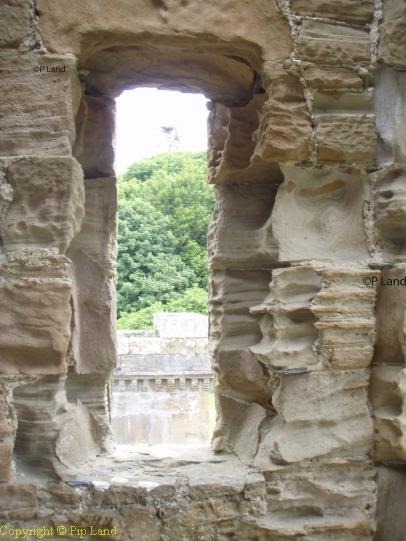 Over time the locally sourced sandstone has been weathered into fascinating shapes by the wind and rain on that exposed cliff top. The scent of jasmine seduced us into sitting for a while in the Orangery before we wandered back to the Home Farm. This was also given a makeover by Adam and became a showpiece with the most modern facilities, estate offices and homes for farm workers. Home Farm was restored in the early 1970s and now houses the Visitor Centre, a shop, a restaurant and the offices of the 600 acre Country Park. As we couldn’t find anything we could eat at the restaurant we went back to the car and had our own picnic. David had some pizza left over from the night before and I was very grateful that I still had some of the biscuits and goats cheese that Anna and Stuart had given us. We hoped we would get a good meal back at the Premier Inn but sadly that proved to be difficult. I had stated clearly that there should be no mushrooms on my plate as I knew they were fried in butter. It came with mushrooms and with melted butter oozing into the rice. So that plate of food was rejected. Thankfully neither of us had any ill effects after eating there but the food could have been a lot better. By then we were glad we were going home the next day. 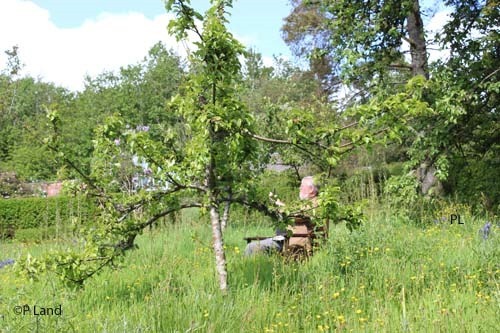 And despite any problems with some meals we’ve got great memories of our visit to Scotland.